Growing up, Ivy Lopez was a cat person but now she's the dog whisperer. Her first up-close experience with dogs was rescuing a doggy family from a backyard with her cousin. This experience led her to Missy and the Rescue family. 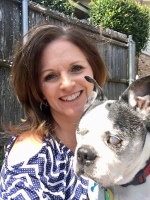 When Missy began her pet sitting business, it only felt natural to join the team while she works on her Masters Degree. Ivy has been a part of the Pet Divas since 2015. Through her work with the Divas, the rescue, and her personal pups she has developed experience with shy, anxious, senior, and aggressive dogs, as well happy and friendly doggies, of course. Ivy loves all animals and is grateful to be a part of the Pet Divas family. Hi! My name is Missy and I'm the owner of The Pet Divas. I wasn't happy in the corporate world. I knew there was something else I was supposed to be doing, that would make me truly happy. 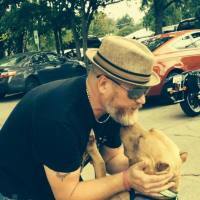 I have worked in dog rescue for more than 20 years. I asked my husband if we should start a pet sitting service, in our big old town, and he said yes. The Pet Divas was born. I really do love spending my days with fur babies. I think you will trust the loving environment we provide for your pets. I am honored to care for your pets, just like I take care of my own, because I truly just love animals!! Hi my name is Jeff , aka...The Pet Dude, and I'm the co-owner of The Pet Divas. Like Missy I'm an animal lover too. I've had pets in my life as far back as I can remember. I think I was three when my dad brought home a brown and white puppy for me and my sister. We named him Sam. Since then I don't recall a time when I didn't have a dog or a cat. When Missy told me she wanted to leave her corporate America job and start a pet sitting company I knew right then how successful she would be. I've never met anyone as passionate as my wife about animals! This is our girl, Becky. She is our weekend goddess, our night time diva delux, our doggie jogging momma! 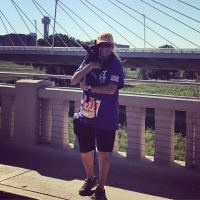 If you have a pup you want trained for your upcoming marathon, Becky is your girl! Not only is she athletic, she loves your pets. Her heart is really in the right place, working here. Every step she takes is for the pets. Becky has been an outstanding Diva since 2016. Her love for animals is endless and her care is impeccable. 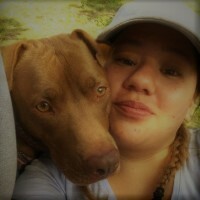 She is also one of our new hire trainers and comes to The Pet Divas with years of experience. Amanda joined us full time in the summer of 2018 and we have never looked back. She is funny, gregarious, dedicated, loving and most of all, experienced. She is the on time machine so the pups know she will be there when she says she is going to be there! Amanda is also the Vice President for Bull luv able Paws (our sister non-profit dog rescue) so she really just knows her stuff. Amanda lives in Garland with her husband, 3 children, 2 dogs Aliyah and Mosa, her 2 fat kitties and one foster puppy named Basil. To know her is to love her so if your pup has some extra pep in his step from her visit, now you know why! This amazing pet guy is our one and only Ryan, The Pet Divas Pet Dude. He handles Plano, McKinney, Allen and Fairview and every now and then, you will get to see him in Dallas as well. We just love him that much. Ryan has worked for The Pet Divas for over a year and really enjoys it. He has been involved in dog rescue in one capacity or the other for many years and comes to us with a vast knowledge of all things dog. Ryan lives in Allen, Tx and has 5 puppers of his own. Ryan comes to us from Allen, Tx. He also runs The Pet Divas Plano, Allen, McKinney and Fairview division. Ryan is about as patient as they come and loves being on The Pet Divas team. 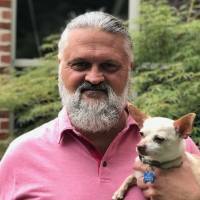 He has been involved in dog rescue, in some capacity, for many years and provides knowledge and experience to go along with that loving patience. We bring him on down to Big D whenever we can so don't be surprised if you see him in Dallas as well! Ryan is a great member of our team. We couldn't do this without him.